The last time we saw Mark Peel, it was October 2012 and he was shutting down his longstanding eatery Campanile (now Republique). 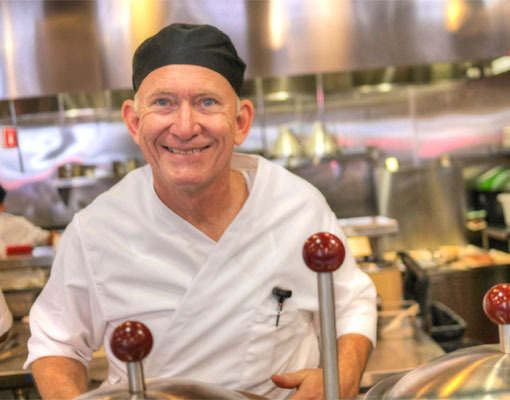 Following the closure, the Chef continued on with his consulting business, Orange and Blue, and cooked a number of pop-up dinners, starting with a stint at Square One (the "This Is Not a Pop-Up" series) in February 2013, which led to grilled cheese nights at 3Twenty Wine Lounge in March. October 2013 saw Peel bow out of the Campanile project at LAX, a joint venture with HMS Host that was announced all the way back in 2011. Interestingly, ex-wife Nancy Silverton reportedly replaced him on the project, which ended up debuting in December to middling reviews. 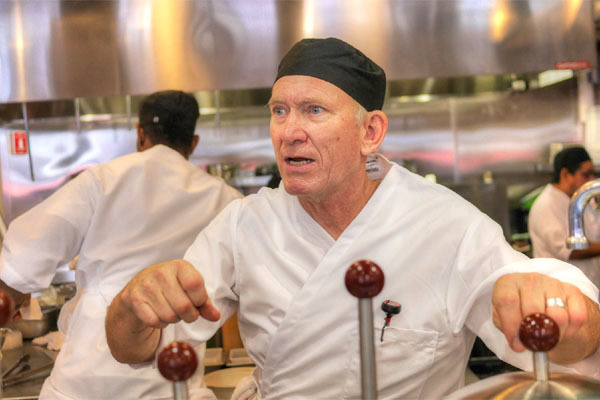 In February 2014, he cooked four nights at Il Grano with friend Sal Marino, and later competed against Marino on Ilan Hall's Knife Fight, working with English peas, venison, and sea snails. 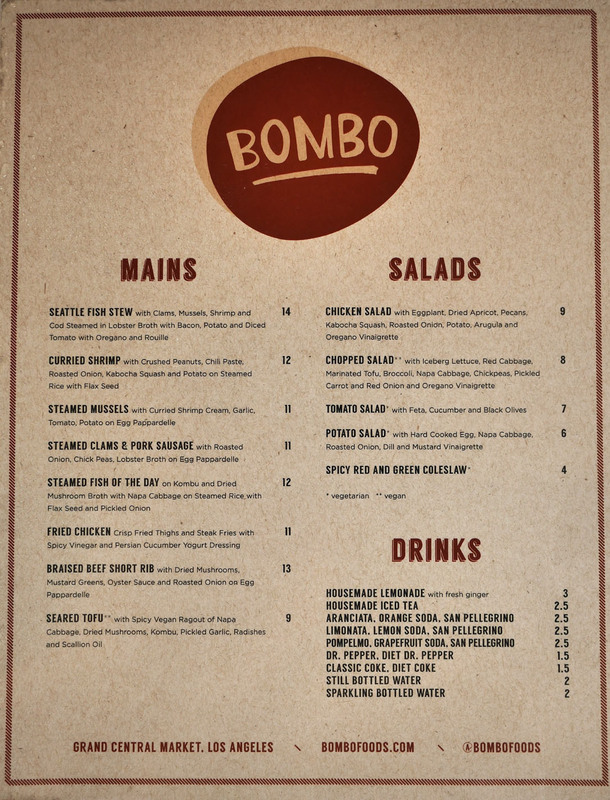 This brings us to Bombo, which was announced last September and teased at a couple of pop-up previews at Rascal in January. 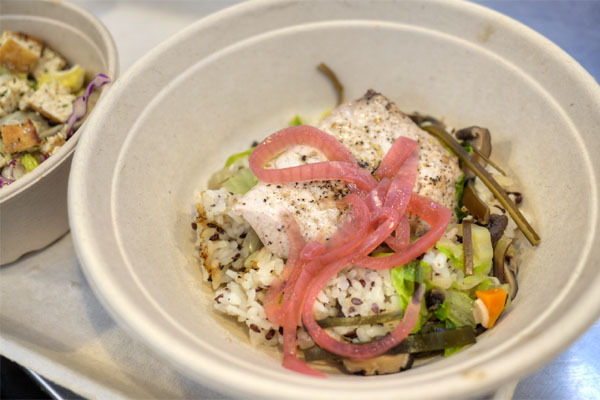 The restaurant opened on March 26th in the stall formerly occupied by Lupita's, and is a casual, "broth-based" seafooder-slash-fish market (though the market portion seems to be forthcoming). The conceit here is that most of the dishes are cooked using steam kettles, i.e. those steel-jacketed contraptions that we seemingly all first discovered over at Palace Station's Oyster Bar in Las Vegas. 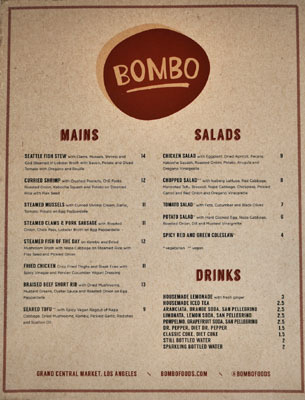 Bombo's menu is straightforwardly classic, mostly single-serving plates and bowls with a few sides and salads thrown in. To drink, beer and wine are reportedly coming, but so far it's non-alcoholic only. Click for a larger version. 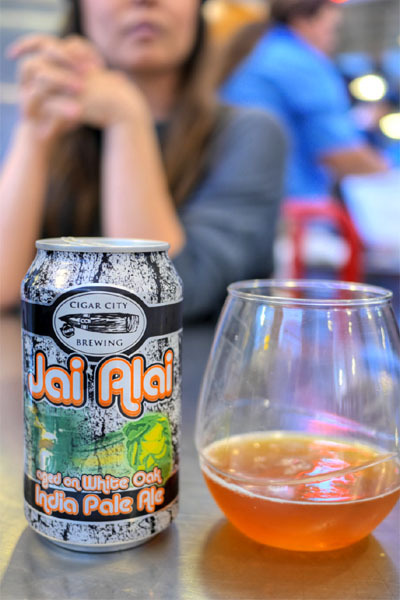 Dining at GCM always means trying out some new beers, and first up to the plate was the 2015 Cigar City White Oak Jai Alai, an IPA aged in American oak. Very floral and quite hoppy on the nose, while on the palate, I got more of that biting bitterness, but with increased depth and softness due to the barrel aging. 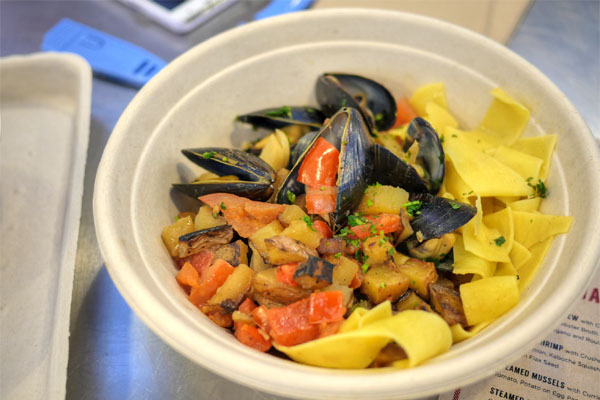 We began with one of my favorites, a seemingly bouillabaisse-inspired seafood soup. 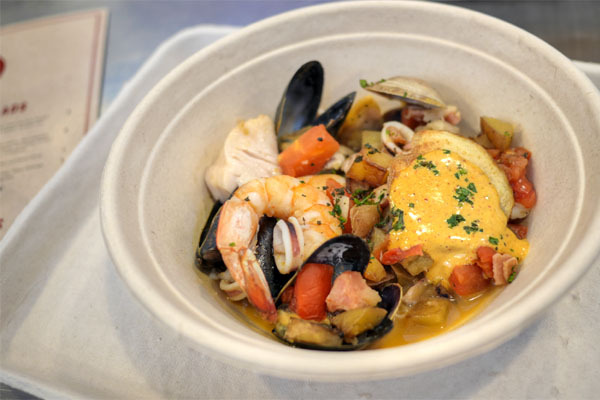 I really appreciated how each item arrived well-cooked and distinct--the snappy, briny shrimp and cod in particular--and yet cohesive, with everything tied together by the deep ocean-y flavors of that lobster broth. 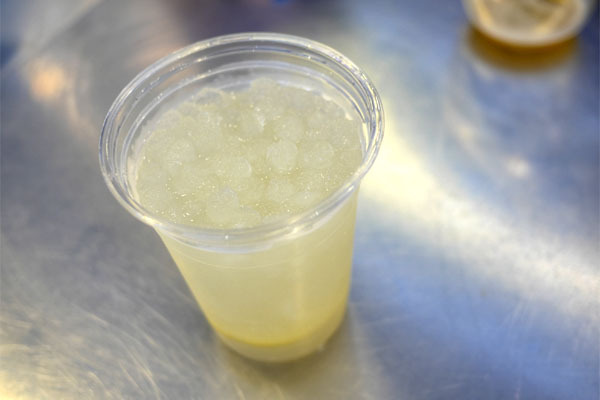 Bombo's lemonade was quite good: tangy and sweet, with a zesty finish of ginger that lightened the whole drink. 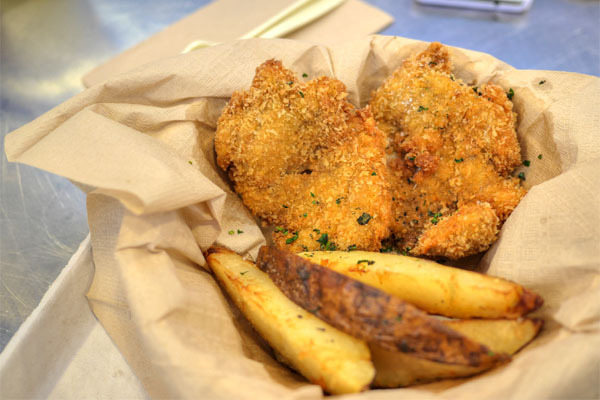 The fried chicken was a must of course, and came out tender, juicy, and super herby, with a lovely crispness to it thanks to the panko-like outer coating. Solid with a dab of the tart vinegar on the side, and even better when paired with that wonderfully light, cool yogurt condiment. I'm quite the potato salad aficionado, and Bombo's was unlike what I'm used to. 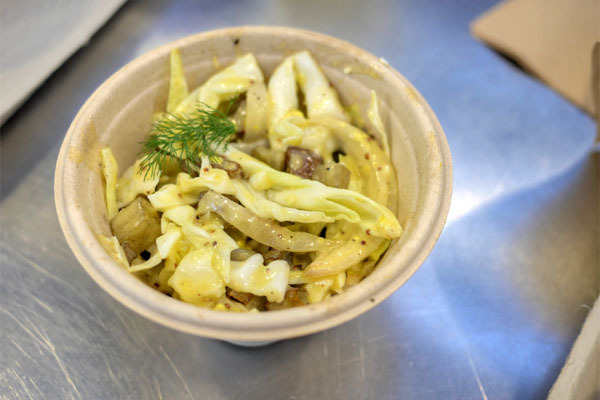 The potato provided a base of heft and savoriness, countered by the crispness of the cabbage, all while the egg added a certain amount of lushness to the mix. Good overarching tanginess from the mustard to boot. 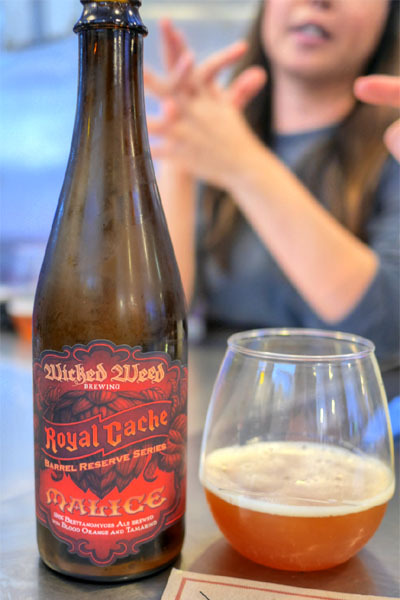 Next to drink was a sour, the 2014 Wicked Weed Malice Wild Ale, a 100% Brettanomyces beer brewed with blood orange and tamarind then aged five months in wine barrels. This smell super funky, almost sewer-ish in fact, while its taste was more subdued, tart and citrusy and barnyard-ish, with a light hit of tamarind toward the rear. Mussels were very nice, all springy and spongy, tasting briny yet clean, the potato adding a great bit of weight to the dish. I appreciated the use of onions here as well, and the texture on the noodles was on point, too. 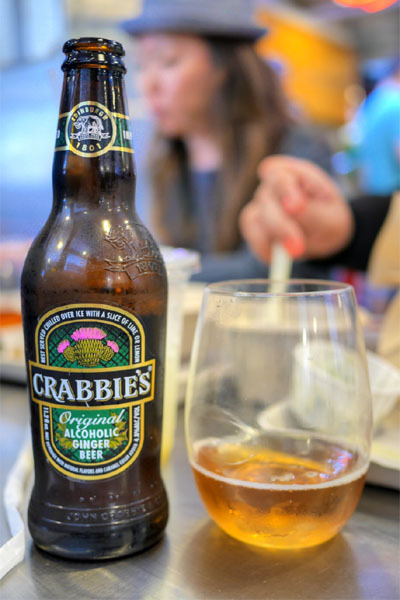 And now for something different: Crabbie's Original Alcoholic Ginger Beer. I found this quite sweet at first, with the spice of the ginger coming through toward the midpalate. Very little alcoholic presence here, so this could be dangerous. 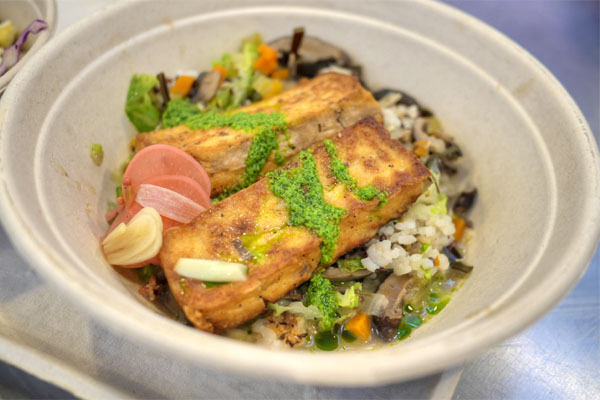 Tofu had a fine sear on it, and just enough character to keep it interesting. The other components here were key though, adding enough brightness and umami to make for a pretty satisfying dish overall. Chef Peel was in the kitchen the entire time, busy working those steam kettles the whole duration. The short rib was another highlight for me. 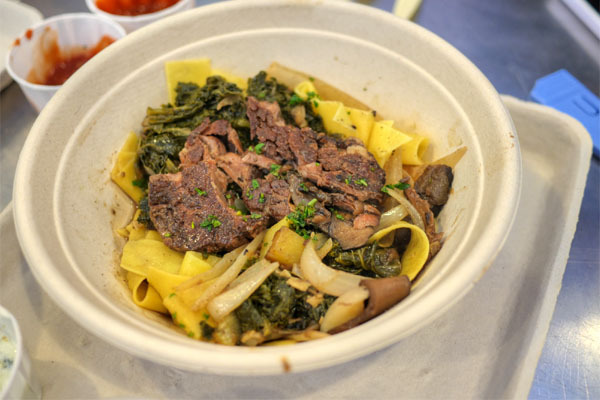 The beef arrived tender, yet with a bit of bite, and loaded with all the deep, bovine flavors that you'd expect. Mustard greens offered up a tempering, earthy astringency, and the zip of the onions made sense too. 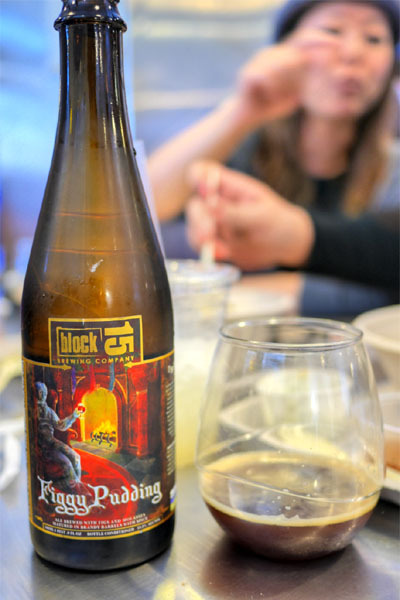 The 2014 Block 15 Figgy Pudding was a holiday beer brewed with white figs, black figs, black strap molasses, then aged in brandy barrels and spiced with Ceylon cinnamon and nutmeg. In terms of nose, I got surprisingly little, with just a trace of light, sweet spice. On the palate, think loads of dark fruit, joined by more sweet, warming spice, citrus, and the weight of the brandy underpinning it all. 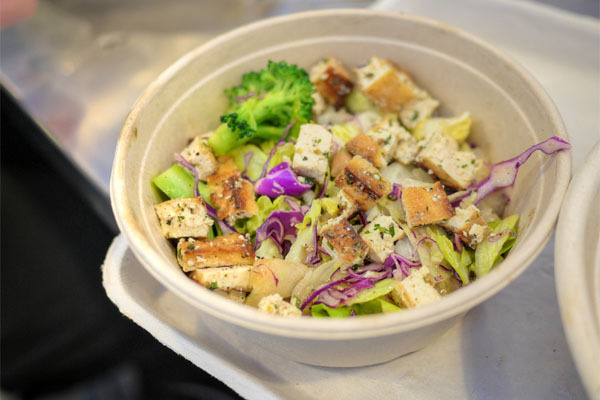 A chopped salad was light and bright, with some crunchy textures and a smart use of tofu, the whole thing brought together by the zestiness of the vinaigrette. 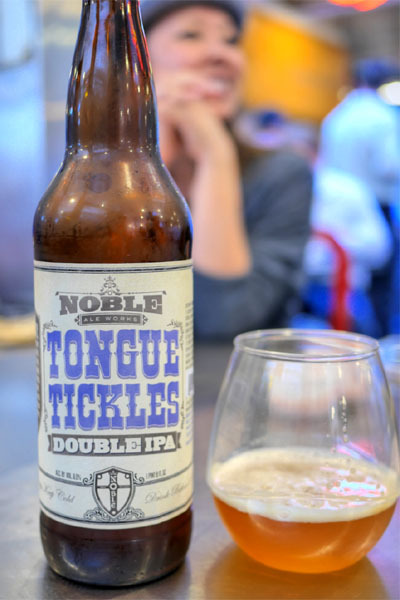 DIPA duties were handled by the 2015 Noble Ale Works Tongue Tickles, a good effort from the brewery that was bracingly bitter and slightly tropical in terms of aroma, while taste-wise, I got more of those hops, along with a juicy grapefruit quality. The fish of the day was yellowtail, firm and flaky to the bite, yet juicy. It seemed light on seasoning though, so the rest of the ingredients here were absolutely crucial in making the dish work. 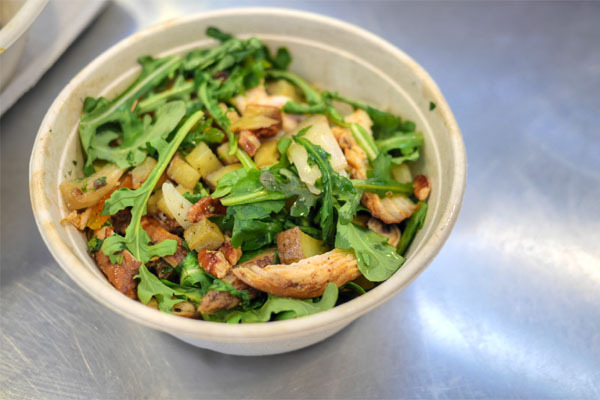 Chicken salad had a nice interplay between the savoriness of the bird, the potato, and the bitter spiciness of arugula. I could've used less apricot, less pecan though. 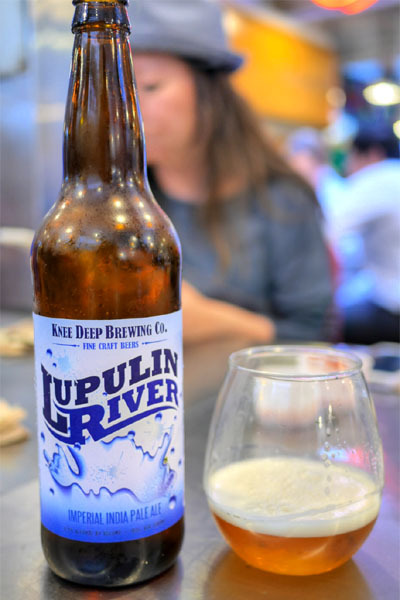 The 2015 Knee Deep Brewing Lupulin River was another Double IPA, this one coming in juicy and tropical on the nose, but also quite dank. Meanwhile, it tasted of citrus and pine-y bitterness, but with a stronger, more noticeable undercurrent of malt. 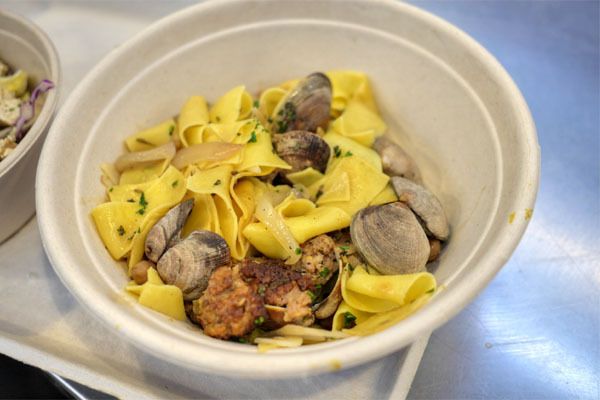 I was a big fan of the savory, herby sausage here, and the clams themselves were pretty much spot on too. There was a sort of enveloping heat that I liked, and the chickpeas lent a fitting gravity to things as well. 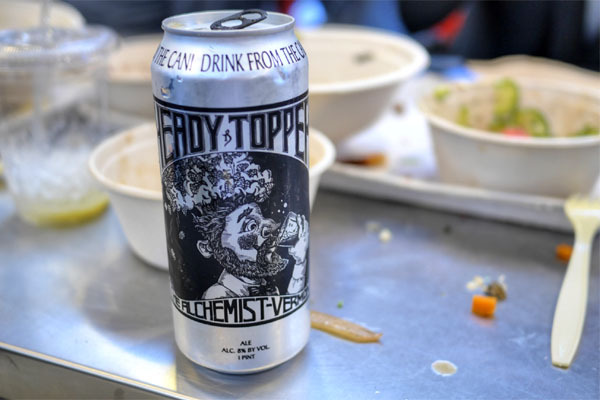 The final DIPA was the 2014 The Alchemist Heady Topper, which came from the same batch I had a Brilliantshine. Yes, so this was Heady that I'd intentionally aged for six months, just to see what would happen. The difference was that the tropical aroma of the beer, that juicy grapefruit, was subdued, with the piney nature of the hops showing through more. On the palate, there was also less citrus and more of a sharp, bright bitterness, and the malt backbone of the beer was also more apparent, making for a "stickier" experience overall. 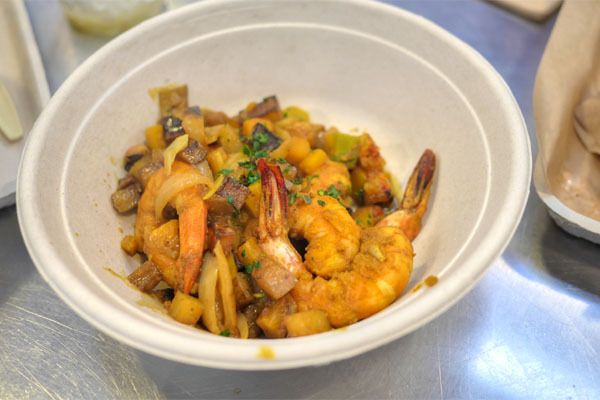 The kitchen didn't hold back on the curry, with the dish's plethora of spicy, aromatic notes melding reasonably well with the still-snappy shrimp. 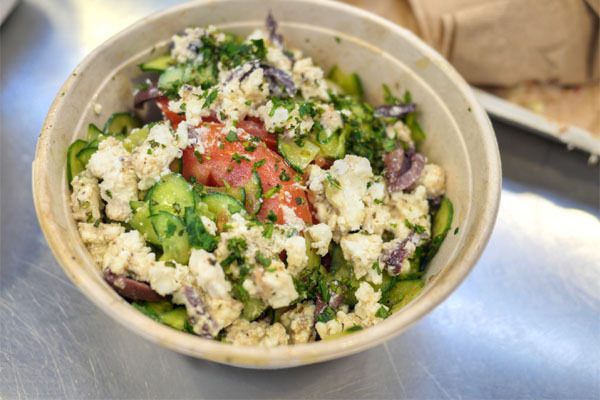 Last up was a sort of Greek salad, a commixture of light, bright, juicy, and piquant nuances set against the creamy, tangy feta. 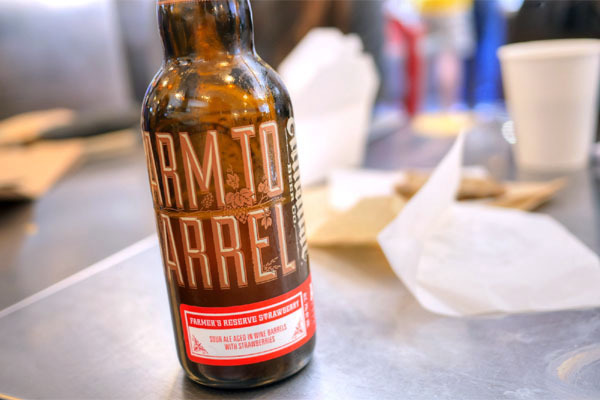 Our final beer was the newly-released 2015 Almanac Farmer's Reserve Strawberry. I found it expectedly tart, with good amounts of earthy funk, barnyard, and vinegar coming through, though not enough actual strawberry. 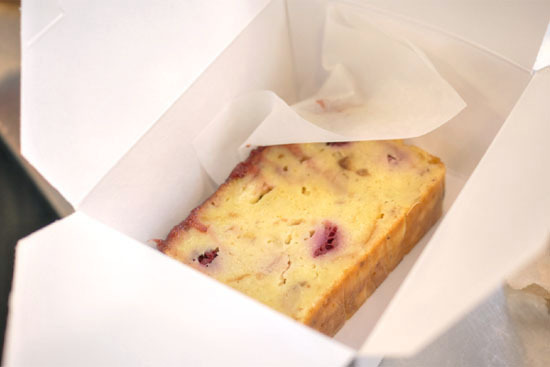 Bombo doesn't seem to offer any sort of dessert options, so some items from the nearby Valerie had to suffice. Peel seemed harried, but happy. After a two-and-a-half year hiatus from LA's dining scene, it was nice to see Peel back in action at Bombo. 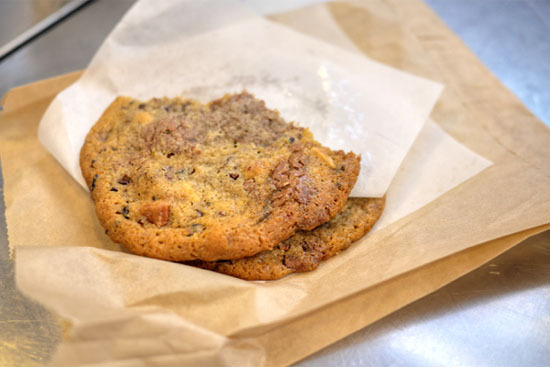 The food worked apart from a few exceptions, and was a welcomed change of pace from what you typically find at Grand Central, harkening back, just a bit, to the Chef's times at Campanile. I have to say this is one of the tougher plces to critique. The food is much simpler than campinle but is very good in its own merit. Did you feel that way?